While the pro-Hillary mainstream media is screaming about Donald Trump’s unrehearsed answer to ABC’s “This Week” host George Stephanopoulos’s “gotcha-question” on the Muslim parents who spoke of their son’s loss in Iraq during the DNC’s Convention, not a word from most “journalists” about Hillary on “Fox News Sunday” with Chris Wallace. Donald Trump is well known for his off-the-cuff statements that his handlers apparently cannot silence. His description of the grieving parents was a huge and lasting blunder. Stephanopoulos, the former White House employee under the Clinton administration, asked the billionaire what he has suffered, compared to the Muslim soldier, and Trump fell for a question that the rookie politician had no way out of no matter what he said. Meanwhile, Hillary Clinton’s answers in an interview with Wallace about the email scandal were ludicrous to any informed American. Her claim of ignorance in any wrong-doing has been roundly criticized. She insisted that FBI Director James Comey’s taped appearance in a House Committee, under oath, was “misrepresented.” She further claimed her statements on the topic were truthful. Enter the ultra-liberal Washington Post. The ongoing severe criticism against her has the Post up in arms. Yet they have already stated they prefer Hillary to win the election over Republican nominee Donald Trump. Why? This in itself is front page news. 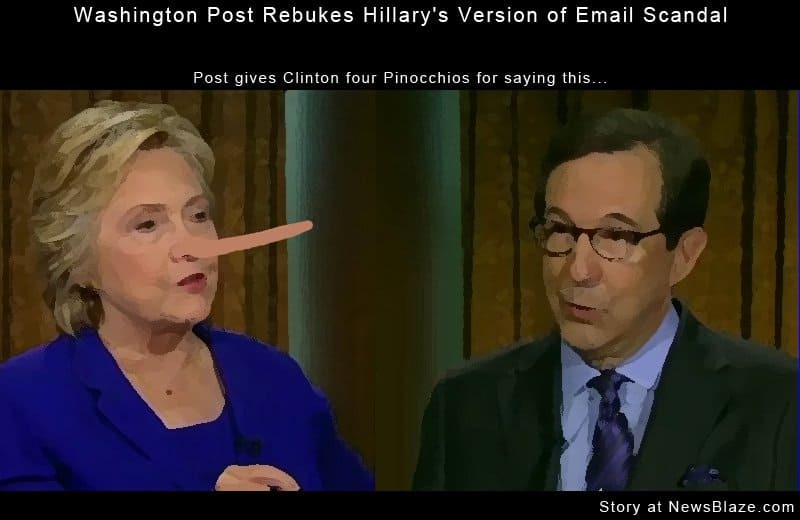 Hillary Clinton speaks to Chris Wallace, WAPO gives her 4 pinocchios. The answer was more than incredible. 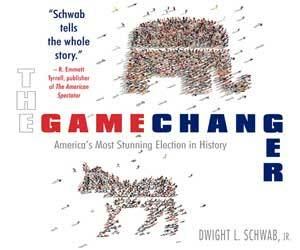 It was a politician who will do or say anything to dodge the truth. She received four Pinocchios from the Post for her outrageous claims in front of millions watching. Four Pinocchios is the newspaper’s worst ranking for truthfulness in its Fact Checker. There were plenty of other public figures, Democrats as well as Republicans, who also took Clinton to task for the statements.